Kingston, ON — Hacking food justice was the theme at the recent Social Innovation Bootcamp hosted by the Centre for Social Impact at the Smith School of Business. The bi-annual bootcamp convenes Smith MBA and Bachelor of Commerce students who are working towards their Certificate in Responsible Leadership with community organizations and social enterprises who are addressing critical social problems. Working in small teams, 65 students and representatives from FoodShare Toronto and the Loving Spoonful came together to apply an accelerated one-day design thinking process to three opportunities that FoodShare Canada is grappling with. The contributions from Smith students provided FoodShare and the Loving Spoonful with a set of unique ideas and approaches. At the same time, Smith students got a deeper look at how innovative organizations are using market-based approaches and community engagement to improve access to healthy food. “It was great to meet and work with people on a real-life problem. Together, we came up with a solution that really inspired me,” says Sophie Labrosse, Com’19. 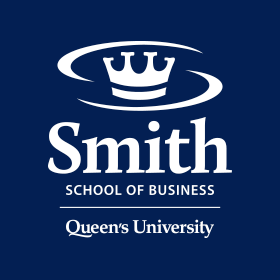 The certificate program at the Centre for Social Impact offers graduate and undergraduate Smith School of Business students an opportunity to augment their degrees with an exciting experience-based, integrative exposure to the dynamic field of responsible leadership – exploring in depth areas such as business ethics, social innovation, social entrepreneurship, sustainability, and community engagement. Visit the Centre for Social Impact website for more information about the Certificate in Responsible Leadership program and the Social Innovation Bootcamp, which is supported by Michael Kehoe, Com’78, and Suncor Energy Foundation. Article was originally featured in Queen's Gazette.